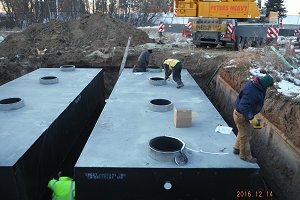 Grease Interceptors are passive devices required by municipalities to stop grease, fat, oil, wax or debris from entering the city's sanitary sewer system. 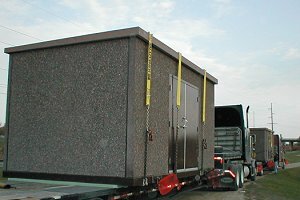 Crest Precast box culverts are manufactured to any size that is transportable by truck or rail. All projects are engineered by our staff for the buyers assurance of a long lasting durable product. 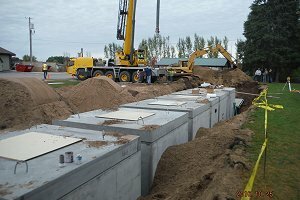 Water Conservation Tanks, for water reuse at Car Wash projects. If water runs thru it Crest Precast will built it. Grease Traps or Grease Interceptors are passive devices required by municipalities to stop grease, fat, oil, wax or debris from entering the city's sanitary sewer system.